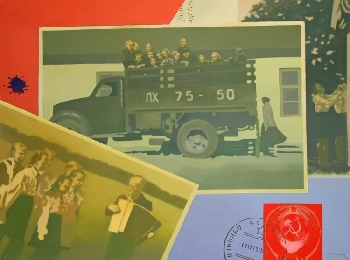 The artist has worked on 11 multi-figure compositions since 2009. 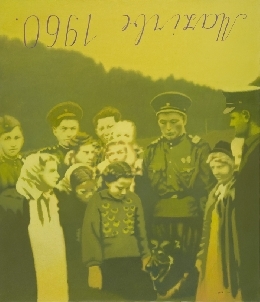 In this exhibition, she uses personal memories to analyse historical conflicts and fateful events that changed the course of Latvia’s history. 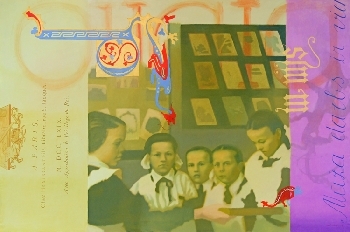 Līga Purmale’s exhibition ATSKATS/ FLASHBACK covers the time span from the early 20th century (the painting with the postal stamp and the artist’s grandmother’s address) till 1975 when Purmale entered Latvian art scene as a promoter of a fresh painting style. 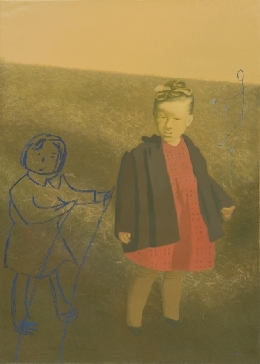 The artist has been inspired by photos from the family album, photos of her childhood and youth, books from the home library with the artist’s childhood scribbling on the margins as well as selected press photographs with typical traits of the epoch. 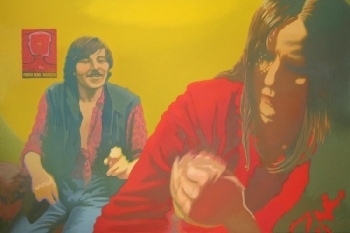 On the 2nd floor of the Gallery, there are paintings that show Purmale’s typical artistic style of the mid-1970s with the photographic and light effects as well as painted reflections. 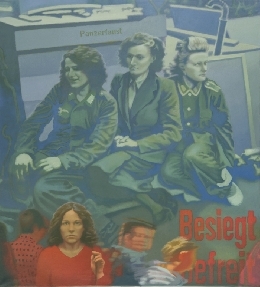 The new multi-figure compositions typify the atmosphere at the end of the war, realities and moods of the socialist system, liberties and hopes of the 1970s, and the romantic tone of the early 20th century, opening up an impressive portrait of history. Līga Purmale (b. 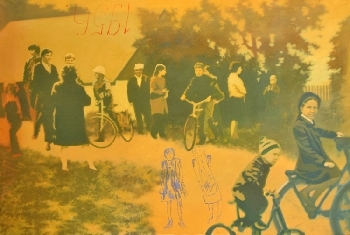 1948) brilliantly entered the Latvian art scene in the mid-70s. Life style and creativity activities of Liga Purmale challenged accepted norms of public behavior. Her life and art were exceptional example of counterculture. 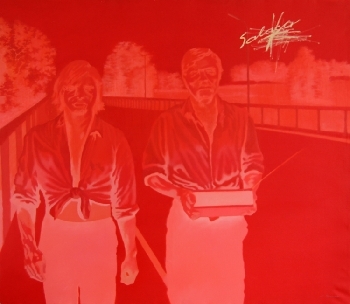 Liga Purmale is one of the founders of Photo Realism in Latvian painting. 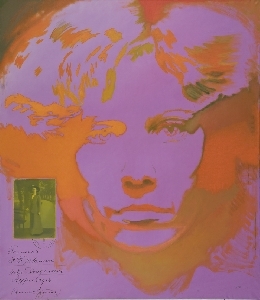 Exhibition in 1974 clearly defined her attempt to achieve in painting such a degree of reality that exceeds the potential of an accurate photograph . Cultivating and developing Photo Realist principles, Līga Purmale has created an individual expressive style and particular conception of landscape. Painterly, subtle “portrayals” of both natural and urban scenes, balanced compositions of colour and light typify Līga Purmale as one of the leading painters of her generation. 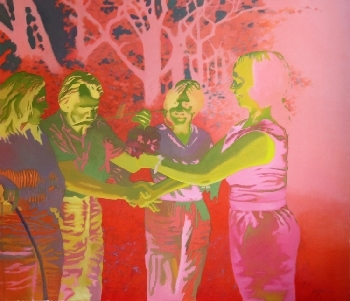 Liga Purmale was nominated at The Sovereign European Art Prize 2009-2010. Her painting "Saturday night movie" was sold in Sotheby`s in 2009. 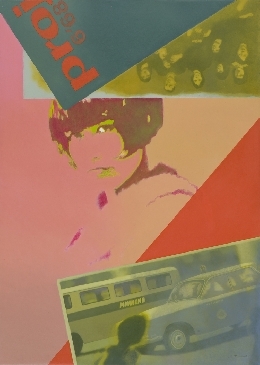 Līga Purmale’s works are included in the Public collections of The Nacional Museum of Art (Riga), The State Tretyakov Gallery (Moscow), JaneVoorheesZimmerliArt Museum, Rugers University (USA).